In an open letter published by the Daily Beast, African-American author Ron Christie rebukes U.S. Attorney General Eric Holder for wrongfully playing the race card. What you don’t understand, Mr. Holder, is that there are many of us who are trying to take our country back – back from a group of politicians who seem intent on our destruction as a pillar of strength and liberty in the world. Many of your fellow citizens are dismayed by your conduct, and our anger has nothing to do with the color of your skin. 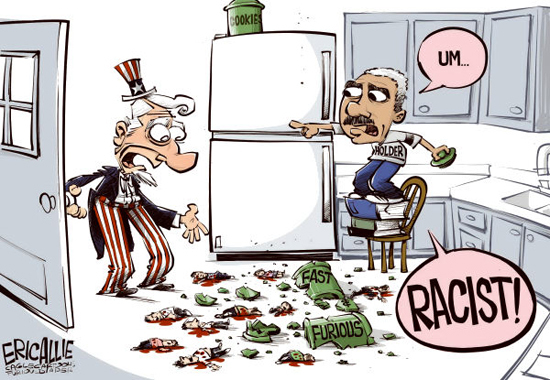 … Just after you assumed office, Mr. Holder, you said America was a “nation of cowards” on matters of race. What is cowardly is the manner in which you, the president, and other officials of this administration have stoked up the racial animus you claim to deplore. America’s first black president was expected to usher in a new era of racial equality. Instead, we have watched the bonds that hold Americans together become more frayed. We are now more polarized and more divided along racial lines than the day you took office. By recklessly accusing your opponents of racism, you have turned back the clock on race relations in this country. We are all worse off as a result, and weaker as a country. Your use of the race card to explain away genuine political opposition to President Obama’s policies upsets many people, particularly black conservatives like myself. To summarize, Attorney General Holder and President Obama are being judged by the content of their character, not by the color of their skin, and that judgement is negative. 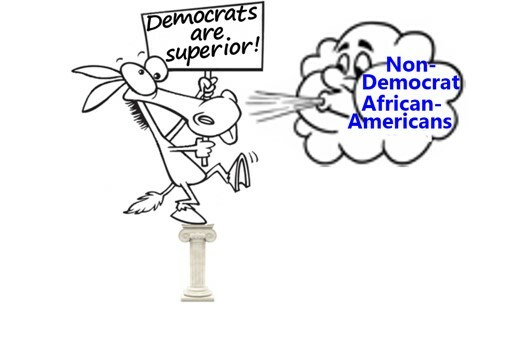 That judgement does not please people who have placed the Democratic Party on a pedestal, because that judgement contradicts their belief that Democrat politicians are superior to Republican politicians. So, when a Democrat politician who happens to be black is judged as having a poor character, the race card is played in attempt to defend that politician. To add to the problem, some Democrats are in denial about the race card’s existence and frequent use by Democrats. 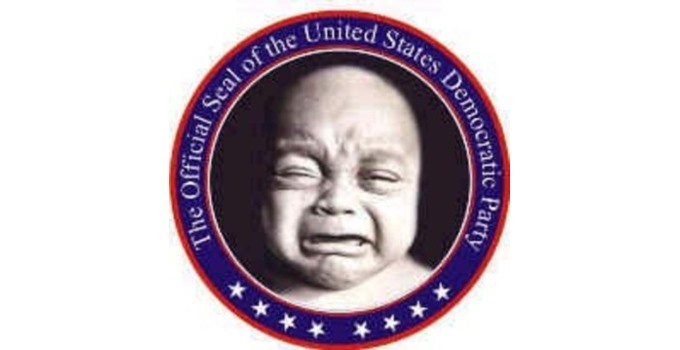 Such denial is their way of trying to keep the Democratic Party up on that pedestal. For the record, I am not a Republican, and I have no love for the Republican Party. Republican politicians have made plenty of their own mistakes, but playing the race card in attempt to prevent debate isn’t one of them. Note: The second image in this post (which is also the feature image) is a mash-up of different images copied from the Internet. The image of the donkey holding a sign is an altered version of an image created by Ron Leishman.